Welcome to issue #250 – the first of 2005! I thought Mike’s topic of Epic Campaigns a great one for this week’s article and I hope you find his process useful for your epic campaign crafting. Get more game in this year! Revelations: An epic campaign reveals unexpected facts about the campaign environment. Not just small ones, but ones that redefine the entire campaign, both past and present, casting it into a new context. Revolutions: An epic campaign permits the characters to react to the revelation in such a way that massive changes either take place, or are prevented from taking place. Repercussions: When you have a revolution, what comes afterwards is usually as profound as what came before it. There are always repercussions. This article will look at the first six components, what they should contain, and how they assemble like a jigsaw puzzle to form a road map for an epic campaign. Next week’s installment will examine that last half dozen. Define a campaign world with lots of opportunity for adventure. Throw in some NPCs that will fascinate the characters. Add places of adventure, such dungeons. Add some political affiliations (“the elves are here, the dwarves are over there”). Create a broad-based threat of some kind (“…and over here, an empire of golems has enslaved anything made of flesh in furtherance of some vast pre-programmed cause no- one understands…”). This is meant to be a combination of red herring and background plot element. How did the campaign world get into this state? Who discovered these things? How have they elements interacted in the recent past? Write the history of the campaign world so far! It’s important to think about these things. Look for consequences, throw in story twists such as backstabs, unlikely alliances, and unlikely villains, and most importantly, define the style of the coming campaign. You need to establish that there have been exceptional characters in the past, how they affected society and history, and what infrastructure – social, political, and economic – has emerged to deal with such individuals in the present. That defines how the PCs will fit into the campaign world. If the world is going to show no mercy to the PCs, there must be tales of the death of heroic characters of legend. If the world is going to be extra-nasty, there should be some ironic deaths. “He assembled the forces who would ultimately win the day, but died of an infection before the battle could be fought”. Most importantly, if you are going to have an epic flavour to the campaign, you have to have that epic flavour in the backgrounds. Massed armies, gods, demons, tales of unimaginable evil and unparalleled heroism. Once you have all of this written up, you need to hide some of it, obscure some of it, distort some of it, oversimplify some of it, and flat out lie in some of it. Do this in a separate copy. This becomes the player’s version of the background. So far, all we have is the recipe for a really good campaign – not a bad start – but it’s not yet an EPIC campaign. So the next requirement, having determined the starting point of the campaign, is to list everything that’s going to change in the course of, and as a result of, the campaign. In fact, it’s not that simple. For everything that you list, you need two alternatives, one describing the outcome if the party succeeds, and one if they are…less successful.It’s generally far better if you pick a couple of deep philosophical, conceptual, or ideological conflicts/contrasts and make those the themes of the changes. Once you have these changes selected, you can examine each element of the campaign to see what the impact of these contrasting outcomes will be. Don’t be afraid to make big changes. Nor do you have to see immediately just how you are going to get from “before” to “after”. For a truly epic campaign, every element of the campaign should be affected in some way, and by the time you have the various themes considered in combination there will be plenty of scope for just about any change you want. I have recently run an epic campaign in which one of the themes was the corruption of belief systems. As a consequence of that theme, near the end of the campaign, the elves adopted the worship of Lolth in defiance of their long-standing alliance with the human kingdoms, while the drow abandoned Lolth, and (after a rather turbulent period of revolution) have embraced Corellen and allied with the Human Kingdoms. Once you know the two end points, the next step is to work out how to get from “here” to “there”. First, the easy ones – is the endpoint the logical outcome of a single change in the affected group? If so, make a note of that change and start trying to think of ways to cause it.The more complicated ones involve a dual or even a triple transformation – you need to find some intermediate step so that (a) can lead to (b), which can then lead to (C), which is where you wanted to go all along. Once again, you then need to work out triggers for those changes.For example, the “inversion” in elvish religious beliefs described above started with the apparent death of Lolth. With the loss of their deity, the drow clerics found that they no longer had access to miracles of faith. For a while, they were able to conceal this and suppress dangerous suggestions otherwise (by increasingly violent means), giving them the chance to learn the art of illusion from the (male) mages in their houses. That let them simulate the power of Lolth and begin searching for ways to restore their dark goddess. Of course, all the male mages had to be killed off, lest the secret be revealed. Slowly, word leaked out, and the loss of Lolth became common knowledge amongst them. That took the drow from (a) to (b).Meanwhile, Lolth had regenerated herself, at least partially. Knowing that she was vulnerable, she had prepared an escape for herself from the trap that had supposedly killed her. With her drow no longer believing in her, however, she needed to find another group of worshippers. She found them in the elves, who (as suggested in step 1) had become obsessed with genetic purity, subordinating everything else to the achievement of that goal, putting in place draconian laws that were more in keeping with Nazi Germany – with the loftiest of objectives, of course.These practices slowly angered the eleven god Corellan so much that he washed his hands of them. The elves were ripe for the picking – taking them from (a) to (b).With the difficult parts out of the way, it was easy for Lolth to make the most of the opportunity, while her former worshippers, no longer subject to her perverse and corrupting influence, slowly began to grow more civilized. The steps for each group from (b) to (c) were thus relatively easy.In the course of six years of play, then, the elves went from recognisable elves to something more like fascist drow, while the drow became more like elves with a ruthless streak. If you assume that each of these changes represents a scenario, or part of a scenario, then a large part of the campaign is suddenly defined. 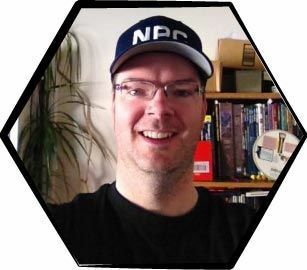 In other words, having designed a campaign environment conducive to epic adventures, you then define a series of such adventures for the purpose of achieving a desired change in the campaign world. It’s only fair to give the players a chance to get used to the ground rules of the campaign environment before throwing them in the deep end. At low level, that means making sure that they gain awareness and appreciation of the building blocks of the campaign to come. You need a scenario to introduce these building blocks to them. Some of it can be done through PCs, some through NPC encounters, and some through adventuring.For example, in the world above, it was important to establish the current status of drow and elves early on. Fortunately, two of the PCs were an elf and a human former slave of the drow who had escaped. It was enough simply to brief the players of those characters and to let the rest emerge through roleplay.Since the escaped slave wouldn’t have the inside story of the loss of Lolth, it was also necessary to have a drow NPC running around, and to have the party directed at a later point to a former Matriarch of the drow. This essentially broke the ground rules of that part of the campaign down into four relatively easily-assimilated bites. Inserting encounters and adventures of this type into the campaign structure quickly begins to fill the campaign time line out. In other words, make sure that the characters have had the chance to find out what they need to know to make valid choices at the critical points in the campaign. It’s also necessary to explain any key concepts and assumptions of the campaign, and better yet, to demonstrate them. You have to sketch in plot lines that clarify those parts of the background that you obscured, reveals that which was hidden, exposes any lies, and so on.In the case of the elves/drow example, for example, it’s necessary to make sure that the party knows something pretty devastating happened to the gods a century or so prior to the campaign starting, and that the relationship between the gods and their worshippers – and its implications – be explained to the party. It’s tempting to dump this into one or two big scenarios, with lots of exposition, but it’s far better if you can divide it up into smaller pieces that are more easily absorbed.When designing the campaign, it’s perfectly acceptable to tell the players something that is “commonly believed” (but completely false), to tell them that the educated believe something else (that completely misinterprets the truth), and to present a scenario that exposes the flaws in these world-views. That then leads to another scenario where the discrepancies are explained – and the second doesn’t have to immediately follow the first (or vice versa). Some of these scenario elements can be incorporated into the “Ground Rules” scenarios, others can be saved for the Transformation scenarios, and some will have to be left to stand alone. The only rule of thumb is that the characters deserve to understand the reasons things happen the way they do. If you don’t offer explanations, there will come a time when they give up trying to understand the world, and stop interacting with it, and the campaign will start dying. There’s no such thing as an epic adventure without cataclysms, disasters, calamities, setbacks, reversals, and other grim situations. These can be triggers for some of the scenarios, outcomes of some of the scenarios, and other epic conclusions. As a rule of thumb, I like to have one every year to year-and-a-half of adventuring. These are the major staging points of the campaign, the end of one volume and the start of the next (to take an analogy from the world of fantasy novels).In the drow/elves campaign world, for example, there were 5 “cataclysm” scenarios. The first one ended with the revelation that only 9 gods had survived the events of the background. The second told of a desperate race to get elvish relief for a city besieged by orcs in a winter campaign. The third dealt with the rescue of the elven Prince who had been captured by drow, and ended with the players redefining the balance of magic, religious power, and human vs. non-human civilization, while choosing a tenth god to complete the pantheon. The fourth revealed what the enemies of the gods had been up to over the last century and ended with Lolth claiming the elves. The fifth was the epic conclusion to the whole campaign – a civil war that turned the whole political and social background of the known world on its head and established why the PCs would be retiring at the end of it and what they would be doing hereafter, while giving the final pieces of explanation for mysteries that were revealed in the very first scenario. Next week: the final six ingredients you need to craft a tight, fun, and memorable epic campaign. Seeds provide just enough sparks to fuel adventure. Horror III, Modern V, and the Modern I-V compilation. This is a massive list of thought-provoking questions for building a fantasy world compiled by the Science Fiction and Fantasy Writers of America. A great resources for GMs brewing up their own campaign settings. When a character dies it is probably the worst thing to happen to a player. All that time spent developing a personality and background gives a player a sense of achievement within the game. Then out of the blue – YOU DIE! The number of sessions you played fade away as you struggle with the concept of making a new character or bringing back the same character at a lower level. If your party is low level then a Raise Dead spell (or better magic) may be out of the question. So what do you do and how does your death affect the group? How do other characters truly ‘experience’ a fallen comrade “in game”? In the campaign I am in, I suggested sharing the lost experience points (-1 level) with the other members of the party. The party really feels the effects of a lost character by losing a part of their XP. It enables a character to not fall too far behind others and lets the DM assign monster challenge ratings without worrying about the lower level PC in the 10th level group. It puts more emphasis on the group to keep it together and to keep each other alive. In some campaigns, some players will lose a character over and over again, possibly due to bad luck, poor dice rolling, or no support in combat from other players. A character death should teach/show/tell/summarise the players’ actions in the adventure. If they roleplayed well, they got the treasure and killed the monsters, found the clues, progressed the story line, etc. If someone dies, then they did something wrong or took far too many chances. I believe in house-rules, take nothing for granted in a book, and if it doesn’t work – vote it out! I saw the world building tips in a recent newsletter and wanted to share something that’s worked well for me: buy a school geography or geology textbook. You can find these books at your public library’s book sale area for a dollar or two, and your public school district might give obsolete books away for free. These books are packed with little gems of information. Tropical and subtropical deserts are usually found on the western side of continents, around 30 degrees north and south of the equator? Mediterranean climates (like I enjoy here in California) are found around 40 degrees north and south of the equator, on the western side of continents, and only cover 1% of Earth’s land surface? Continental steppes (you know, the vast plains where your horse barbarians live) will only occur in the middle of large continents, at around 40 degrees north and south of the equator. This is why only Earth’s northern hemisphere has this type of climate; the continents on the southern hemisphere are too small. In my experience, middle school geography texts beat out other world-building geography sources hands down. Maps just don’t give you enough information on the variables that are affecting what you see. I was recently reading up on body armor and found the following information on howstuffworks.com. I’m planning on using it in my near-future cyberpunk game. Maybe some of the other readers could use it too. Kevlar is by far the most common fibre used to make body armor, but other materials are being developed. The most readily available alternative fibre is called Vectran, which is approximately twice as strong as Kevlar. Vectran is 5 to 10 times stronger than steel. Another rapidly emerging fibre is spider silk. Yes, spider silk. Goats have been genetically engineered to produce the chemical constituents of spider silk, and the resulting material is called Biosteel. A strand of Biosteel can be up to 20 times stronger than an equivalent strand of steel. Another candidate is carbon nanotubes, which promise to be even stronger than spider silk. Carbon nanotube thread is still rare, and fabric is even rarer. CNet reports the current price of nanotubes at $500/gram. In time, prices should fall and make carbon nanotubes a viable fibre for body armor. Here are a few things I find helpful when putting together my campaign or describing the action. * Find also includes clues, as in an investigation; however, investigations can bog and fast, so focus on getting the player what is needed in as fun a way as possible with very few research roles (*yawn*) and lots of action.